I can’t go the month of August without burning at least one coconut fragrance and Shortie’s Coconut Cove sounded like a perfect choice. The wax was pure white to fit the fragrance theme perfectly, and the aroma… a sweet coconut that kind of reminded me of a freshly cracked coconut with a hint of cream. It smelled good and I couldn’t wait to light it. Relax on the beach of this tropical paradise and wait for a fresh coconut to drop so you can break it open and enjoy the wonderful juice of this creamy tropical fruit. First sniff, the wax did smell like a fresh coconut and dare I say even a hint of suntan lotion? You know what I’m talking about right? That coconut suntan lotion aroma? Something in this fragrance reminded me of that. I’m intrigued… now let’s see how this candle performs! Because this candle was fairly small, I decided to light it in a small room. Once the wick was lit, it took a good three hours to reach a full melt pool and the aroma… a very subtle, creamy and buttery coconut wafted all throughout my bathroom. I kept going back to smell it and all I could smell was a true coconut with a hint of cream and butter. YUM!! I really liked this one. The suntan lotion note I thought I smelled in the beginning totally went away. YAY!! Strength – I would rate this candle a 7 out of 10 in a really small room. 5 in a medium and I wouldn’t even try this candle in a large room. If you do, go with melts. Coconut fans, this was a yummy one. It was on the lighter side so a small room worked best for me. 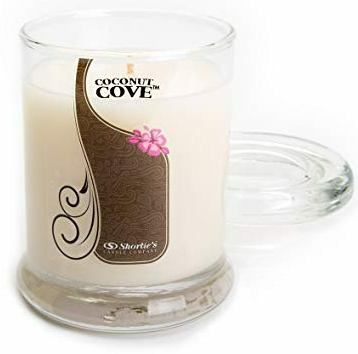 Loved Coconut Cove and could totally see myself purchasing this candle again. 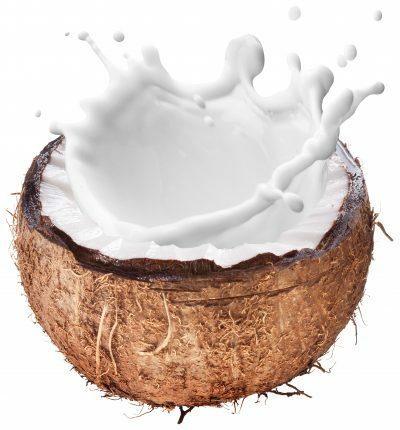 Just imagine a true and creamy coconut with a hint of yummy buttery notes. Yeah…. Yum!! If you haven’t tried Shortie’s Candles yet, they’re worth checking out. They also have sales quite often so you may want to wait for one of those. Love Christina’s reviews? Read more here.